We love stories. We are enormously fascinated by the fake struggles of fake people. But the love is mixed with a little Puritanism: If it feels so good, it can’t be entirely good for us. So, for centuries we’ve worried not only that stories waste our time but, worse, that they promote laziness and moral corruption. I think this worry is misplaced. My book argues that stories—from conventional fiction to daydreams—are an essential and wholesome nutrient for the human imagination. Stories help us rehearse for the big dilemmas of life, bring order to the chaos of experience, and help unite communities around common values. We shouldn’t feel guilty about our time in storyland. In an interview with Dan Pink, Jonathan Gottschall addresses why immersion in storytelling is not escapism or wasted time. 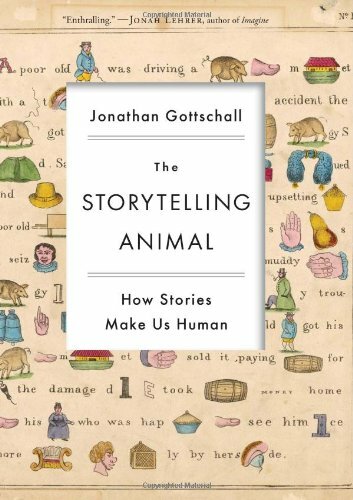 Gottschall is the author of the book The Storytelling Animal: How Stories Make Us Human.